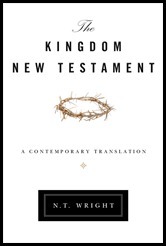 Reading N. T. Wright's "The Kingdom New Testament"
Peter ends this letter to a group of suffering Christians with great consolation. Line after line offers hope and promise of comfort and reward. An altered frame of mind maybe helps us with our expectations and desires but today’s comfort brings solace to the heart. 1. 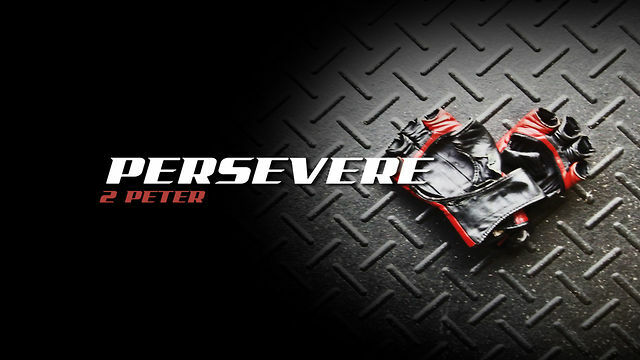 Peter begins by reminding his recipients that their reward for standing up under pressure is an eternally durable one. The toned, flexible, capable bodies of our youth age and wither. Crowd approval fades. Financial stability and market shares lessen with time. But there is a glorious reward coming to those who stay true to the faith even in the face of persecution that cannot be taken away and will not lessen in value. 2. Suffering is also easier to face when we are convinced that God is one on our side. It can be easy to give into the belief that God is not on our side, that He has had a hand in our suffering or at least has failed to stop it. Peter reminds his readers that God cares intimately about them and their problems. They can fall to their knees and pour out their prayers to him. No matter the emotion — fear, resentment, anger, hurt — God wants to hear their heart’s cry. 3. No one wishes misfortune on others, but suffering is easier to face when you know you are not alone. Persecution is the worst when you think you are the only one being subject to it. You begin to think there is something particularly wrong with you. Or the injustice of the situation seems all the worse. Peter reminds them that what they are going through is not unique. There are many others suffering the same fate. Strangely, there is comfort in numbers. 4. 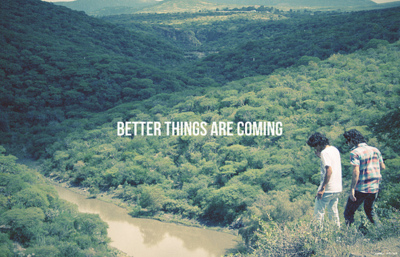 Paul’s last word of all about suffering in this letter is that better days are coming. When you are in the midst of hard times it is so easy to become myopic and think this is all that life is. Every day will be filled with pain. Each new person will treat you as harshly as the others. Every phone call will be bad news. Each new turn is a bad turn. Peter reminds them (and us) that God gets the last word, and for those who in Christ, that last word is one of blessing, strength and restoration. What is the one point about suffering you most needed to hear this week? There is so much to say about suffering in this chapter, but I am afraid with school activities and deadlines I do not have the time to do it justice. Help me out! Share with us today what you learned from this chapter. Here are the verses I was drawn to today and a few initial and random thoughts about suffering faithfully. Jesus had to suffer, so do we really think we will not? But suffering is more successfully faced when he prepare our minds to face it. It we run headlong into hard times clothed only with raw emotion, we should not be surprised when we come out cut, bruised and wounded. Suffering trains the heart and equips us to overcome the weaknesses that allow sin to reside in our lives so easily. Suffering may be as pleasant as working out is for many of us, but it may also be as beneficial in the long run. In the middle of all of this talk about suffering, Peter reminds us God gets the last word. Justice will come in the end. We can’t face suffering alone. We need the fellowship of others. Suffering tests and reveals how genuine our faith really is. That can be a scary outcome. It can also be a blessing. It is one thing to benefit from the sufferings of Jesus. What an esteemed calling to also share in those sufferings, to actually be able to say we know a piece of what Jesus went through! What stood out to you today? It is interesting that no New Testament writer nor Jesus ever talked about living life in a predominantly Christian culture. Maybe that was because the Romans were so powerful, so dominating that they could not imagine life beyond the Roman Empire (can those of us who live in America imagine a post-American world?). Or maybe this was a realization on their part that true Christianity will never be the dominant culture of a whole community. Christianity has always been and is intended to be a “contrast community” to whatever is the prevailing way of life. But what about medieval Europe when the Catholic Church was essentially the government? What about John Calvin’s Geneva during the Renaissance period? What about 1950s America? Weren’t these Christian cultures? I would still argue that you had enough humanity mixed in with the divinity that what existed was not completely what God intended. The medieval Catholic Church spawned the Crusades. The Calvinists marginalized non-Calvinists. The 1950s in America were a low point for race relations, even between Christians. Were we really expecting that the way of Christ would be the norm? Christ himself was not accepted by the majority of people he encountered. Nonetheless, yes, I think part of the problem with suffering that comes from persecution is that we have been expecting Christianity to be the norm. We had convinced ourselves that our culture (I am especially thinking about western countries) was predominantly Christian in the past and this is the way it still should be. 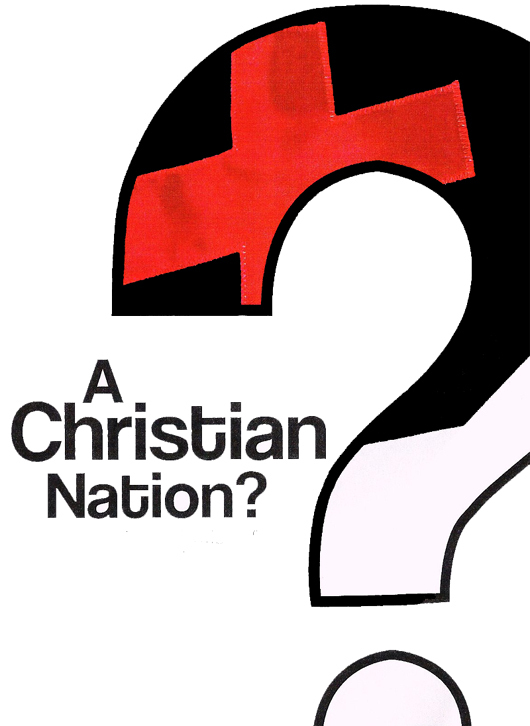 Of course, we were forgetting that American Christianity was heavily influenced by the hate of the 50s, the revolt against authority and the glorification of individual in the 60s, the lifestyle experimentation and redefinition of the 70s, the greed of the 80s, the rootless angst of the 90s, the exploitation and celebrity idolatry of the 2000s, and now the fear of outsiders in the 2010s. We pine away for the better days of yesteryear, but the reality of those days do not actually measure up to our memories. Peter gives different instructions for what to expect from society, instructions that presuppose a different way of seeing reality, instructions that would be good to remember today in a world that is increasingly more hostile to institutional Christianity and the way God has called His people to live in this world. 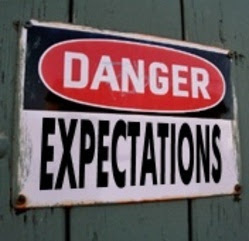 Maybe part of our perceived suffering comes from false expectations. We are expecting to be the “moral majority.” We want to be the ruling class. We want our way of life to be the norm. That only makes any rejection of our ways feel like the beginning of the slippery slope to moral degradation. It makes demeaning caricatures of Christians on television feel like disenfranchisement. It makes us feel marginalized and persecuted. But maybe God has always imagined that his people will be a set apart people, a “chosen race,” a “holy nation,” “strangers and resident aliens” (2:9, 11) different from the cultural norm and therefore easy targets for derision, or questioning at least. With that change in perspective our job in life is very easy: be ready to explain our alternative way of thinking and living. And by all means enter into that dialogue with kindness, gentleness, and respect. Leave the fiery rhetoric to talk show hosts. Refuse to stoop to the demeaning attitudes and labeling that our opponents use. Avoid any tactic that resorts to power and coercion and legislation to enforce our thinking and behavior. Above all, we should be the people who do all of this with such goodness that people will be ashamed at how ugly their approaches look in comparison. For the recipients of 1 Peter a big part of their suffering had to do with injustice. We can read between the lines of this chapter to see that pagans in their communities were “speak[ing] against [them] as evildoers” (2:12), likely “insult[ing]” them (2:23) and producing something “painful” in their lives (2:19). They had every right to fight back, trade insult for insult, and stoop to the level of their slanderers. They were likely even tempted to do so. Our suffering today comes from many places, including the misdeeds and maliciousness of others. 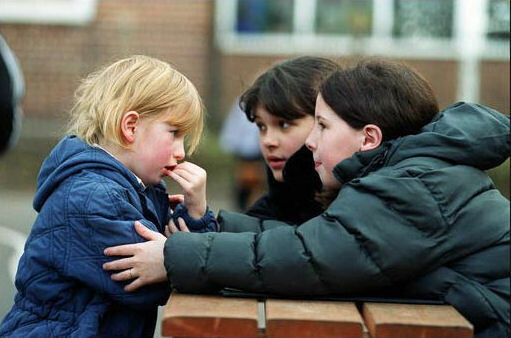 People talk bad about us behind our backs at school and work. People even assassinate the character of others at church. Whether in word or by looks or even simply by exclusion, pain is produced in our lives that we do not deserve. How is a Christian supposed to respond faithfully to that sort of suffering? Peter starts by reminding us that long before we were “rejected” and “insulted,” Jesus suffered the same treatment. Jesus became the proverbial cornerstone in this house of rejection for which we are the “living stones” (2:4-5). In the face of injustice, Jesus relied on his Father to bring justice, he didn’t try to produce it himself. 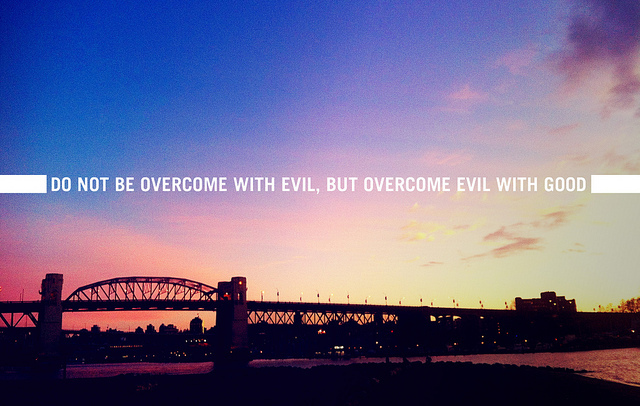 Of utmost importance, though, is that we face the injustice that comes our way with the spirit of Jesus. Many people have noticed that few New Testament letters seem to echo Jesus as closely as 1 Peter. That is especially clear in today’s chapter. We must not give our offenders any reason to think they were right about us. We are to keep such good conduct, even in the face of injustice, that people are impressed with our virtue and maybe even begin to believe our God is real (2:12). It is our virtue that will “silence foolish and ignorant people” (2:15), not our well-crafted defenses nor by trading insult for insult. If all we do is take our licks when we do something wrong, there is nothing special about that. The higher calling is to “bear patiently” with unjust mistreatment (2:20). That is testimony to a special spirit. Deep down at the core of what it means to be a Christian was the reality that following Jesus will inevitably bring rejection, injustice, and suffering. Maybe we were looking for the “get out of hell free” card, but it comes with the cost of discipleship. What did you learn today about suffering? How is a Christian supposed to respond to suffering and persecution? This is the main theme of 1 Peter, therefore all of my posts this week will focus on the answer Peter gave to the churches in Asia Minor. There are many other great ideas in this letter, but because this same question is a perennial one with Christians still today, even in a country like America, I will limit my thoughts to this theme. Is this world as it is your home? How we answer this one question may explain why we experience certain situations as suffering. If this world and the way we think life is supposed to be lived here and now is what we embrace as “home” anything that endangers that state of life will no doubt be greeted as an enemy to be opposed. An economic downturn is a travesty because we cannot have all we have become accustomed to. If life here and now is supposed to be getting progressively easier and more comfortable, old age and career setbacks are anathema. Diseases and death are the ultimate foes because they end this life and tear us from this world. Think about the prayer requests you have heard lately and ask yourself if they don’t reveal where our real home is. But Peter describes our experiences here and now very differently. He calls his recipients “God’s chosen ones who lives as foreigners” (1:1). In tomorrow’s reading he will call them “strangers and resident aliens” (2:11). For Peter the answer to the initial question is a resounding “no.” This world is not our home and, therefore, we should not expect to be comfortable here. We are on our way back home with our father and in the mean time we should be sure not to be “squashed into” the pattern of this world (1:14). The “rescue of our lives” is coming (1:9), “a rescue that is all ready and waiting” (1:5). That is a very different mindset and it makes a whole world of difference. This mindset can be used to rationalize a total detachment from this world and an apathy to anything and anyone not waiting for the great heavenly train to “back, back, train and get your load.” As we will see that is not what Peter would advocate either, but this mindset can help us to face hard times with faithfulness and even celebration (1:6). If this world is not our home, the twists and turns of fate (or crowd approval) need not leave us feeling uncertain about our future and the quality of life to come. Retirement plans may dwindle. Knees and hearts may give out. Our very freedom can be taken away. However, because of our second birth as the children of God, we have an “incorruptible inheritance, which nothing can stain or diminish” and nothing can endanger that fact (1:3-5). There is a better Kingdom coming, and until that reality becomes true to us the setbacks that our present, self-centered fiefdoms suffer will seem excessively oppressive. The author of 1 Peter is almost certainly the Simon Peter of the Gospels; only a few have doubted this. On the other hand, if there is a letter included in the New Testament that was not written by the person who it claims to be written by (“pseudopigraphic,” is the technical term), 2 Peter is our best candidate. It is rather different in style, language, and theme from the first Petrine epistle. The mention of persecution in 1 Peter makes a date in the 60s AD more likely, and by that time in Peter’s life he is traditionally placed in Rome, where he will die by the Emperor’s order in the late 60s. 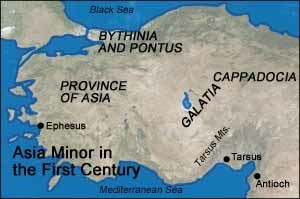 The cryptic mention to being in “Babylon” in 1 Peter 5:13 is most likely referring to Rome, as we will see in Revelation. The apostle Simon Peter is absolutely a classic Bible character. He ranks up there with Abraham, Moses, and David. Jesus is in a class of his own, of course. Peter is well-known, including much of his psychology. He is a full character. Impetuous Peter! If we go to the Gospels to learn about Peter, we must end that character study with a good look at his letters too. This is where his changed heart comes out the most. The last recorded instructions Jesus gave to Peter alone were to “feed my sheep” (John 21:15-19). That he does in grand style in 1 Peter. Churches in modern-day Turkey that Peter had either started or ministered to in a special way (1:1) are now experiencing harsh treatment in their society. The recipients are clearly Gentile Christians (with maybe some Jewish Christians thrown in), as they used to live an idolatrous pagan lifestyle (4:3). Now, because of their devotion to Jesus, they refuse to live in the same coarse way that used to. As a result, their pagan neighbors heap abuse on them. This persecution is certainly social versus political; systematic persecution of Christians in Asia Minor by the Roman government won’t start for another twenty years after the death of Peter. 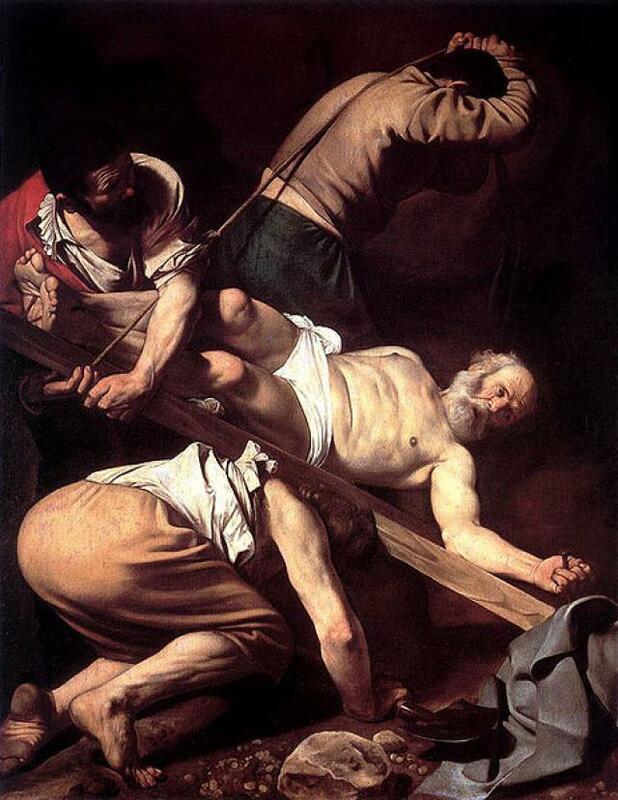 Peter’s recipients were mocked and even harmed physically, but the greatest suffering would have been social ostracism and the economic marginalization that would come from being shunned by their pagan society. What is the faithful response to suffering a follower of Christ is supposed to give? 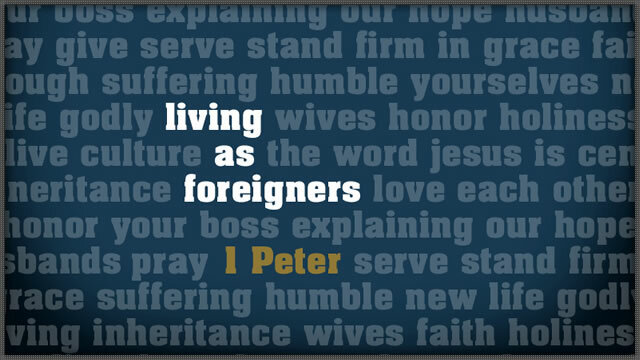 This is the main theme of 1 Peter. 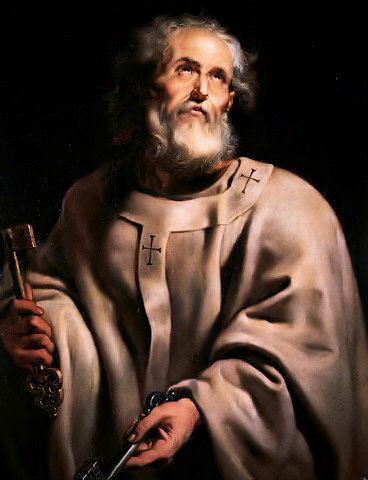 Second Peter is either written by Peter at a very different time and place than First Peter (and a convincing case can be made for this) or as more and more conservative scholars are willing to accept, it was written by a disciple of Peter “in the spirit of Peter” or as a way to honor their master. Efforts would have been made to convey what Peter would have said; good pseudopigrapha did not try to deceive readers and pass unorthodox views off as apostolic. Regardless, 2 Peter addresses a group of false teachers akin to the early Gnostics we have seen previously this year. Of special importance in this letter is Peter’s exhortation to his recipients to vigilantly hang on and prepare for the certain coming of Jesus. Join the journey! Start reading today!